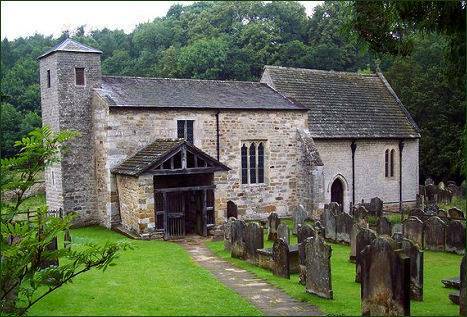 Historic St. Gregory's Minster is located in a tranquil setting in a pleasant wooded dale alongside Hodge Beck in Kirkby Mills, near Kirkby Moorside. 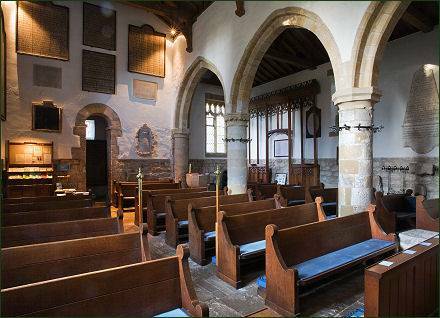 The church was rebuilt between 1055 and 1065 by one Orm son of Gamal. This inscription relates how Orm purchased the church in a dilapidated condition and rebuilt it to the honour of Christ and St Gregory, who was pope 590-604 and dispatched St Augustine to preach Christianity to the pagan Anglo-Saxons in AD 597. 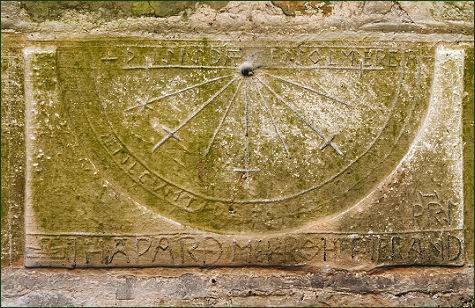 The inscription further tells us that this was during the period when Edward the Confessor was King of England and Tostig Godwineson was Earl of Northumbria, (1055-1065), allowing the building to be dated to that decade. Orm Gamal's son mentioned in the text is almost certainly the Orm who owned Chircheby during the reign of King Edward the Confessor, as recorded in the Doomesday Book of 1086. Earl Tostig was the brother of King Harold Godwineson and was killed in rebellion against his brother with Harald Hardrada, at the battle of Stamford Bridge in 1066. A church has occupied this site since about 750 or perhaps even earlier. Three large stone crosses are built into the walls of the church. It also contains two early highly ornamented Anglo-Saxon grave covers in the nave as well as numerous other cross-slab and early sculptural fragments. The twentieth century windows are by Kempe and Stammers. Recent excavations have revealed a prehistoric standing stone by the west tower, which suggests that Christians reused a pagan site.